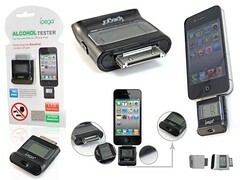 Home Breathalyzer - First step to avoid DUI? With the increase of DUI penalties and fines and the chance of injuring another person or driver many drinkers, who enjoy the occasional glass of alcohol, are questioning whether it makes sense to purchase a home breathalyzer test. Given the home breathalyzer technology, it may be possible to use a portable home breathalyzer machine and know whether or not you are able to safely operate your vehicle. Many drivers realize after it is too late that a DUI arrest and conviction may include jail time, loss of their license, and expensive attorneys fees. Is purchasing a portable breathing machine a good idea? What if you could test your blood alcohol levels anywhere before you got behind the wheel with convenience and portability? How does a home breathalyzer work? Although police have been using breathalyzers since the 1930s to identify drunk drivers, home breathalyzers have only become available for general use within the last few decades. The good news is that the home breathalyzer tool is made with the general user in mind. You dont necessarily need specialized training or skills to operate the machine. To use the machine a driver generally blows into a small, thin tube and waits for the appropriate amount of time. Obviously, brands and instructions for use vary so it is important to read the instructions and become familiar with the proper operation prior to use. What should you know before you buy a home breathalyzer? Like all other products its important to do your research. Some experts suggest you may get what you pay for, and paying a little more for your home breathalyzer may give you more accurate results. It is also recommended that you find a machine that is FDA approved. The internet is a great place to start your research prior to purchase. What if the home breathalyzer says your BAC is below the legal limit but you are arrested for a DUI anyway? The courts will consider the machines used by law enforcement to be more accurate than your home breathalyzer. Additionally, just because your BAC is below 0.08% does not guarantee that you have the physical and mental capacity to drive. Many drivers are arrested for DUI even with a BAC below the legal limit. The only way to guarantee you will not be arrested for DUI is not to drive if you have been drinking. Manufacturers acknowledge that keeping your home breathalyzer test accurate will take re- calibration, which is essentially a reset of the breathalyzer to its original settings. Manufacturers may recommend calibrating the breathalyzer units up to 2 times per year, which may be a hassle if the machine has to be sent back to the manufacture. How expensive are Home Breathalyzer tests? The good news is a home breathalyzer test can be purchased for as little as $50 to $100. This seems like a small price to pay to keep you and other drivers safe and ensure you have the ability to safely operate your motor vehicle.